How To Get Paid To Grocery Shop With Ibotta! If you’ve been on my site before, you know that I’m a huge fan of making extra income where ever I can. 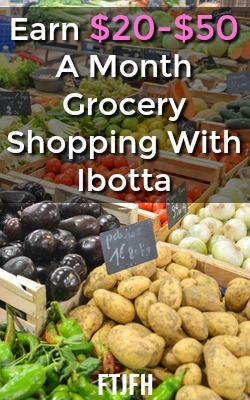 Today I’d like to talk about one way I make an extra income, grocery shopping with the Ibotta App. The impressive thing about this opportunity is we all have to do some grocery shopping, might as well earn some cash back on it. From my experiences, the Ibotta app can help you earn an additional $10-$50 a month from grocery shopping! Below I’ll explain how the Ibotta App works and how you can make money for grocery shopping too! The first step is to sign up for free. When you join through my link, you’ll earn a $10 sign up bonus after your first cash back purchase. There’re two ways to join; you can visit Ibotta.com or just download the app. If you just download the app, you’ll need to use the referral code: xsolsia to earn $10 when joining! Ibotta offers cash back at over 150 grocery stores. Pretty much any major grocery store is available through the Ibotta App. You’ll also find an extensive list of Pharmacies, Gas Stations, and even some clothing stores. (Most rebates are on grocery items, but they do also offer rebates in other categories). Once you find your favorite store, you can see all the rebates available. Most of the major grocery stores will have 200-450 rebates available at one time. 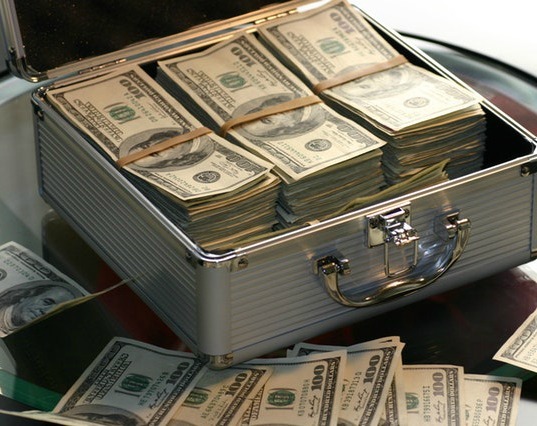 Some rebates are brand specific, and others are any brand. For example, one rebate might be for Hefty trash bags and another offer may be any brand of butter. Most brand specific rebates pay $.50-$5 while most any brand rebates pay $.25-$.50. Once you find rebates you’d like to claim the next step is unlocking them. To unlock a rebate you’ll have to complete a task. Most of the time it’s just answering a short poll. I have also seen where you have to watch a 15-second video. It should only take you a few minutes to unlock all the rebates you want to redeem on your shopping trip. The next step is to make your purchase. Of course, you can just shop regularly, but also pick up some items you’ll earn cash back on. After you check out, MAKE SURE you get a itemized receipt. The next step is to upload a picture of the full receipt inside the app. Most receipts now contain a bar code you can scan, this is the easiest way to upload a receipt. But if it doesn’t you can take a picture of the receipt (if it’s a long receipt you can take multiple pictures). Once you submit your receipt Ibotta will confirm your purchase within 24 hours (usually a few hours if not quicker). Your earnings are added to your account balance once your rebates are approved. One of the major advantages of Ibotta is the payment system. They pay via PayPal or Venmo once you earn $20 in earnings. You can request a cash out at any time; payments are available in your account usually within a few minutes! 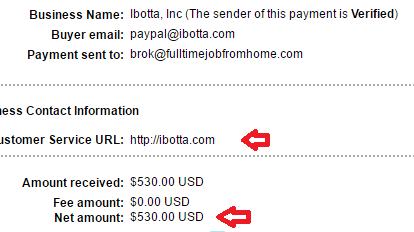 Ibotta is awesome, but that doesn’t matter if they don’t pay. Below I’ve included a proof of payment from my PayPal account. The payment hit my account a few minutes after cashing out. *I did not earn $530 from just shopping. It also includes referral earnings. A $10-$50 a month income is realistic. Now that you know how Ibotta works it’s time to join. It’s completely free to join and earn cash back for your purchases. There’re two ways to join. You can either visit Ibotta.com and sign up there or just download the app. If you just download the app you’ll want to enter the referral code: xsolsia, to earn $10 when joining. Thank you for reading about Ibotta, if you have any questions about the app, please leave comments below! I hope to see you inside Ibotta where we can work together to earn bonuses!